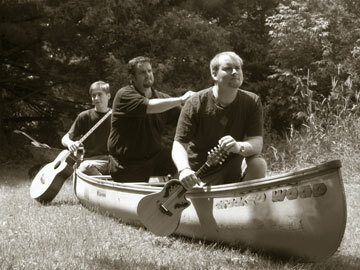 Crooked Wood is the singer/songwriter trio of Chris Murphy, Steve Kennedy and Jon McLurg. In January of 2004, Chris and Steve founded Crooked Wood. Although the long-time friends had performed together intermittently for several years, this marked the beginning of a full-time collaboration for the two musicians. They recorded a demo CD in May 2004, and a full-length debut album, Ta'-ble of Con-tents', was released on August 13, 2005. Multi-talented singer/songwriter Jon McLurg joined the group in 2005. In July of 2005, Crooked Wood were invited to perform at the 2005 Mariposa Festival, where they shared the stage with fellow Mariposa performers, Gordon Lightfoot, Tom Cochrane, Sarah Harmer, and David Francey. In November 2004, the National Campus and Community Radio Association selected Crooked Wood as one of the top 100 Roots Artists in Canada. Their song Amelia was featured on the organization's website.